Tomas Berdych upset defending champion Roger Federer to reach his first final at the Dubai Duty Free Tennis Championships, and will face former three-time winner Novak Djokovic in Saturday's final. The World No. 1 recorded a 7-5, 6-3 victory over No. 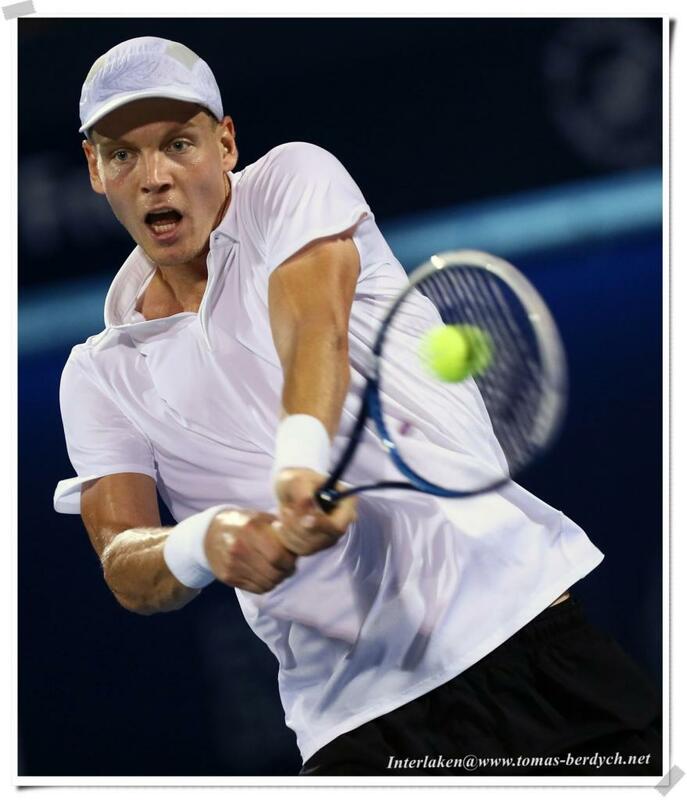 6-ranked Tomas Berdych of the Czech Republic in the evening final, which was watched by 5,000 spectators at the Dubai Tennis Stadium. The match lasted just over 90 minutes. 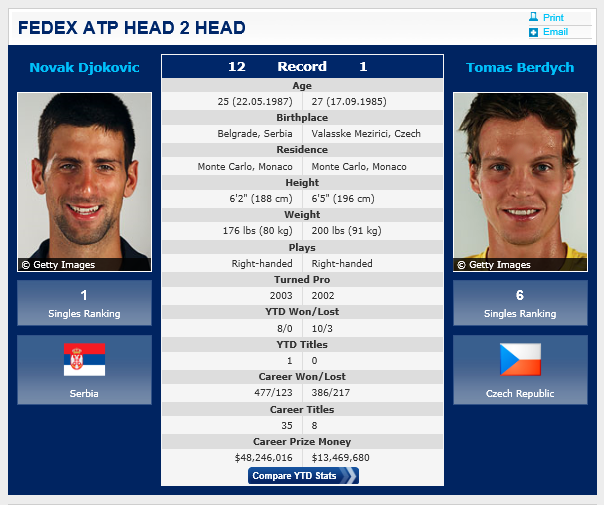 Berdych broke Djokovic’s serve to 30 in the fifth game, passing the Serbian with a superb crosscourt forehand winner. But the Czech’s advantage was short-lived as he struck a routine forehand volley into the net on break point at 4-3, then was unable to convert three break point opportunities in the next game. The 51-minute first set ended with Berdych double faulting at 5-6, 15/40. In the early stages of the second set Berdych tightened up his serve, while Djokovic quit attacking the net in favour of baseline battles. Berdych squandered a two-point lead on Djokovic’s serve at 3-3. It was the closest he came to breaking. In a lengthy eighth game, Djokovic broke decisively, and, with a little bit of a struggle, went onto close out his 28th match win in Dubai. He is now 36-19 in championship matches. 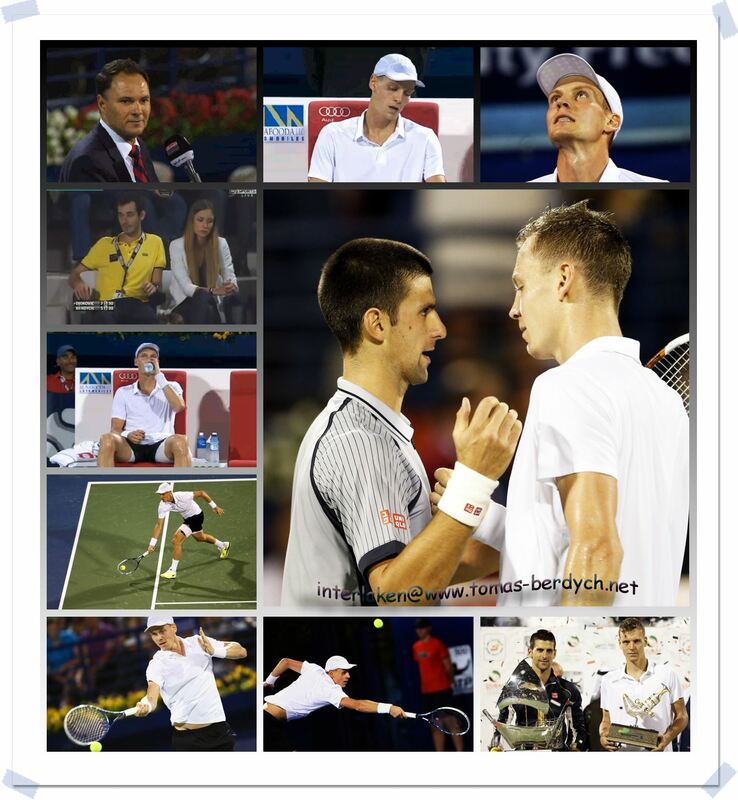 Berdych has now lost all 12 of his hard-court meetings with Djokovic. He was the first Czech play to reach the Dubai final since Jiri Novak in 2003. He saved three match points in a 3-6, 7-6(8), 6-4 win over second seed and five-time champion Roger Federer in the semi-finals on Friday night. Berdych dropped to 8-10 in tour-level doubles final. Six days ago, he finished runner-up at the Open 13 in Marseille (l. to Tsonga). He has a 14-4 match record on the season. 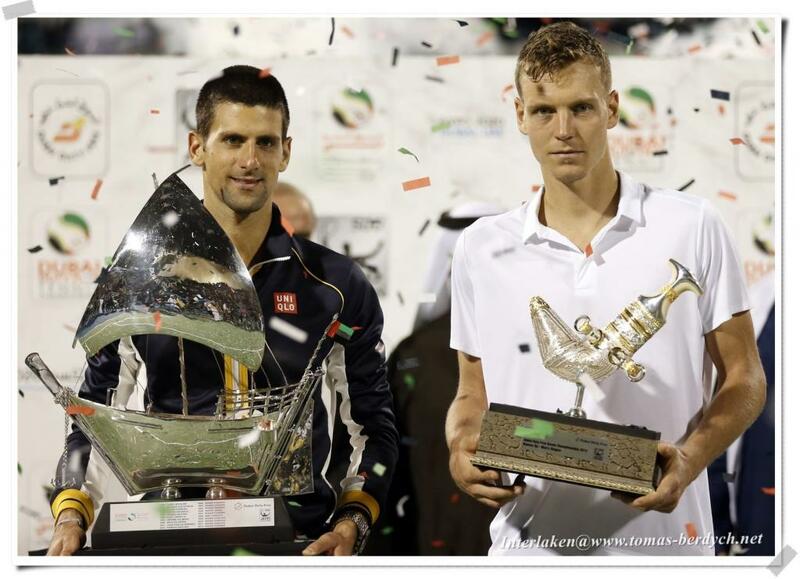 Novak Djokovic and Tomas Berdych pose with winner and runner-up trophies respectively at the end of their ATP Dubai Open tennis final match in the Gulf emirate on Saturday, March 02, 2013. 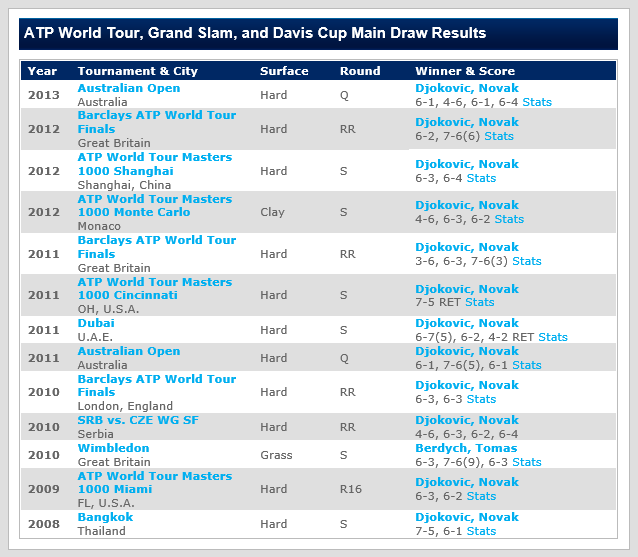 Djokovic won 7-5, 6-4. Q. Do you think it's a match that you could have won, especially with the break up in the first set? 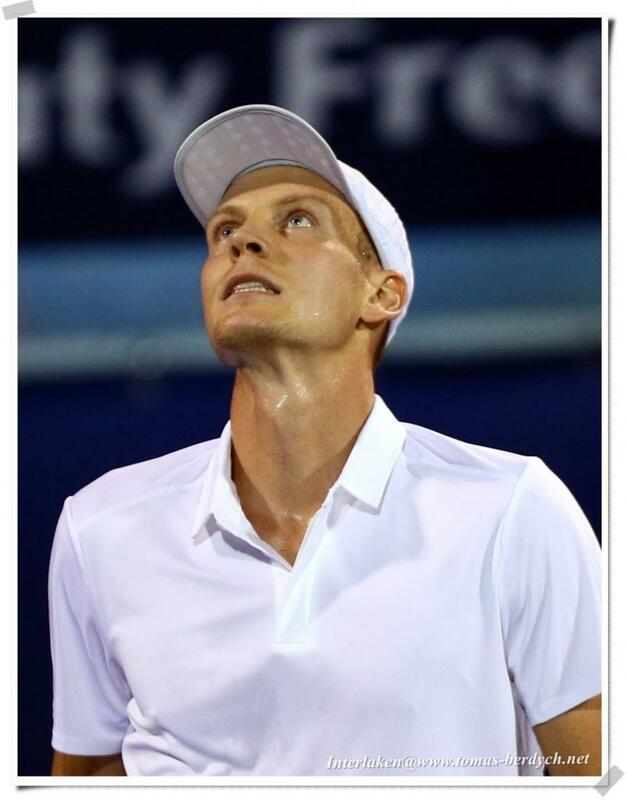 TOMAS BERDYCH: Well, I mean, talking about winning that match that I'm sitting here losing in two, it's really hard to say. Definitely not. It's been very, very far, you know. I just say, I would say, couple of chances that I had a break, but playing with the best returning guy on tour, it's just the advantage but not something really huge, you know. Yeah, I mean, I start well. It was a quite good game, but it was not enough today. Q. Where do you feel you came up short? 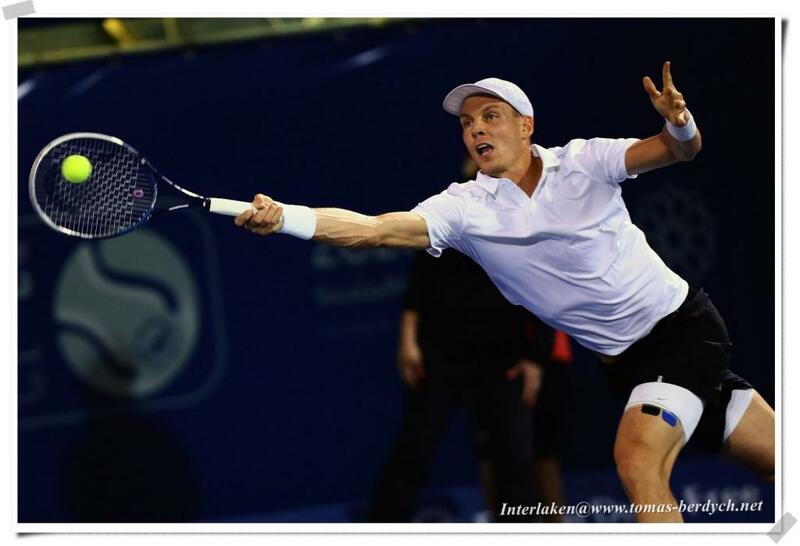 TOMAS BERDYCH: Yeah, if I would know that, I would try to do it on court. No, I need to think about it. TOMAS BERDYCH: Yeah, but saying that I lost the match because I didn't volley that well wouldn't be fair, as well. I mean, yeah, there was two or three points, but, no, I wouldn't see that as like the deciding moment or deciding points. Q. You said yesterday you were going to do some homework and try and come up with a plan, and in the first set is looked really close and it looked like you were almost the better player through most of it. What do you feel you did well in the first set that you could build on? TOMAS BERDYCH: Well, yeah, I was able to, you know, to play the rallies with him quite well, you know, especially from the baseline, and, you know, try to hold him under the pressure. He also make a couple of mistakes. So, yeah, I mean, the beginning was really good, and that's the way how to do it with him, but, you know, this is just really small step that, you know, was working for few games. Now the other one is try to be able to hold it for whole match. Q. He mentioned on court that he would like this tournament to become a 1000. Is that something you would encourage? Do you think it could be a regular fixture every year as a 1000? 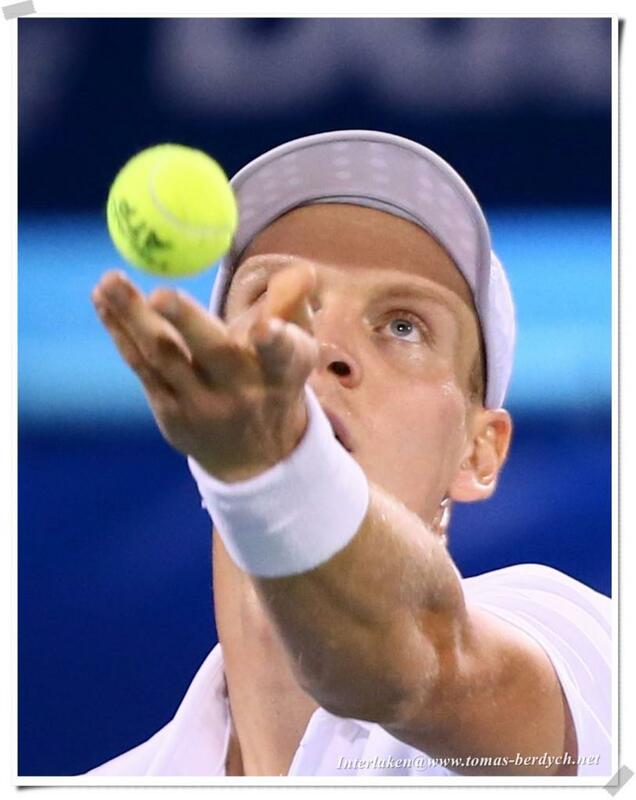 TOMAS BERDYCH: Of course. I definitely agree with him. That's definitely the way that this place should try to be and try to do it. I mean, they don't have to be afraid of actually anything because they have everything to accommodate, to make the hospitality on that level and for the layers, people around, everybody. It would be very interesting to see. I have to tell you that it could be really easily competing for the best 1000 tournament in the world, as well. Yeah, they have a pretty good chance. Q. How sort of mentally and psychologically draining is it when someone like Novak starts to put the pressure on anybody's serve and makes you play the next ball, the next ball, the next ball? It must be quite difficult to cope with. Yeah, nothing else I can add to that. Q. I mean, what about the pressure? You know, you beat Federer yesterday. It would have been the first tournament where you beat the top two in the same tournament. Was that at all an issue as you were going ‑‑I mean, was there any point when just the pressure got to you? 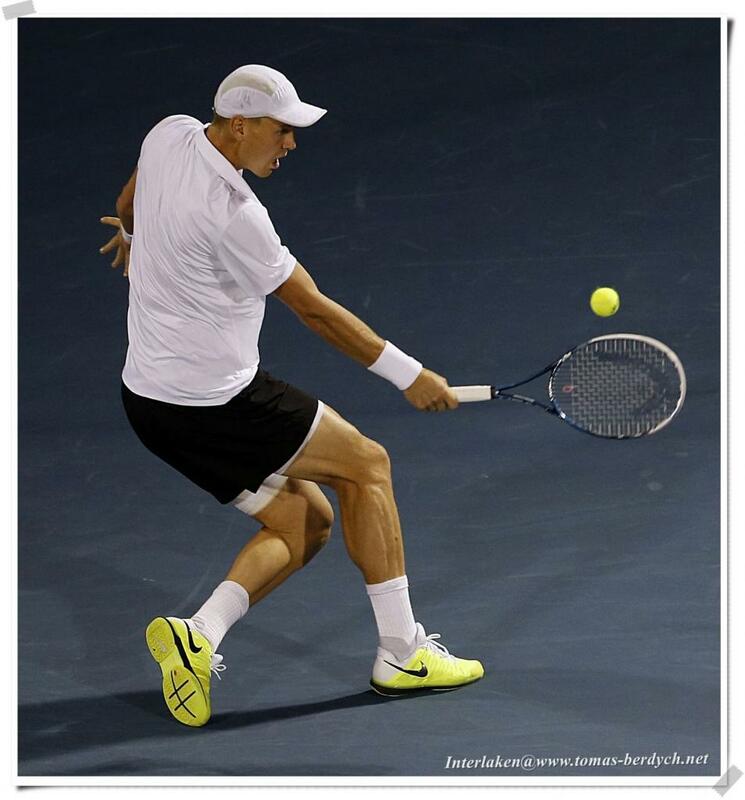 TOMAS BERDYCH: No. Actually, I'm not in the pressure. I mean, I'm the one that ‑‑ you know, I was more in the pressure since you start because you play with the guys that you have to win. And these guys, you can just basically go there, try your best and if it doesn't happen, all right. I mean, yeah, there is a first and second player in the world and possibly the best two for many, many years. That's how it is. So, I mean, probably, no, there was no pressure, no.